As we move into the business end of the football season, forget the title race between Leicester and Spurs in the Premier League, the real excitement can be found in the National League South! 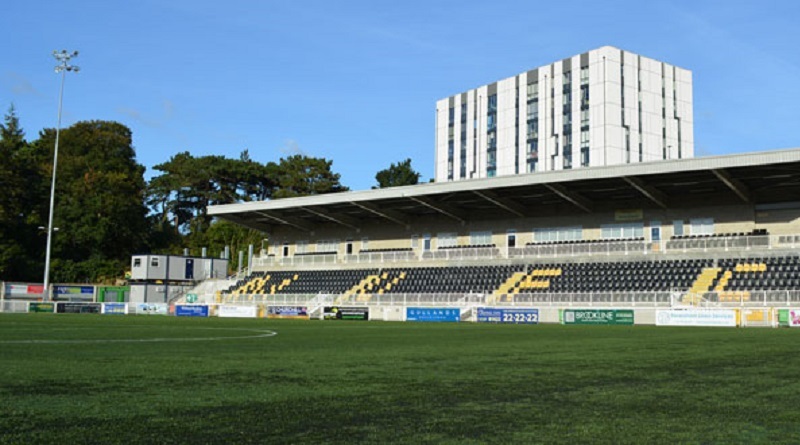 Maidstone United have high hopes of promotion to the National League – the top tier of non league football – but with only one automatic promotion spot available can Maidstone claim the top spot? It is a three horse race for the title with Ebbsfleet, Maidstone and Sutton United all in contention and with Sutton still having to play both Ebbsfleet and Maidstone, the run-in looks set to go to the wire. Although Ebbsfleet are currently 5 points clear, they are actually the only team of the three who don’t have the title in their own hands. Even if they were to win all of their remaining four fixtures, they would be relying on Maidstone dropping points in one of their remaining games. However, if either Sutton or Maidstone can go on a run and win all their remaining fixtures they will be crowned champions but they are playing each other on the 5th April. Sutton could afford a draw against Maidstone and still have the title in their own hands, whereas a draw would see Maidstone becoming reliant on the others dropping points. Let’s have a look at the remaining fixtures of each of the three teams and the quality of the teams they still have to face. The tables show the percentage of possible points won in the last six games and over the season as a whole, as well as their current league position. Averages are shown at the bottom. On paper, Maidstone have the toughest run-in, their next two games are against the two in form teams in the league. Despite St. Albans being 20th in the league they have won an impressive five of their last six games. 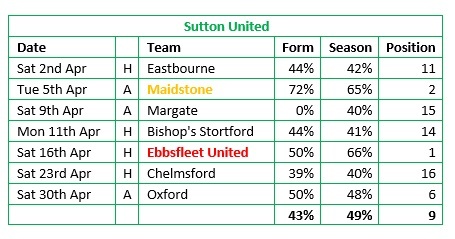 Although on average Sutton look to have a slightly easier run in than Ebbsfleet, this is helped in no small part by the fact they are playing Margate who have lost seven straight matches, but with almost twice as many matches left to play as Ebbsfleet, it might be too big a task for Sutton to catch them. The following graph visualises the remaining fixtures for all three clubs. 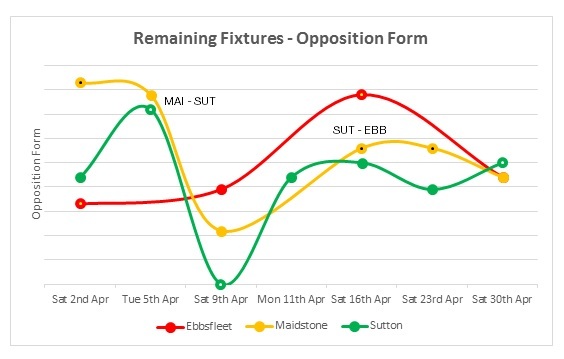 Even taking Ebbsfleet’s recent dip in form in to consideration, with only four matches remaining it looks like they will be able to fend off both Maidstone and Sutton’s best efforts to catch them. But who knows – if Maidstone can get through their next two matches without dropping any points they will certainly feel they have the momentum to win it. Whatever happens, it looks set to be a nail-biting end to the season for fans of all three clubs. 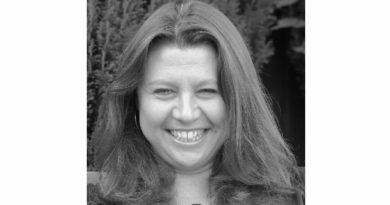 Let’s hope for Maidstone’s sake it does not come down to goal difference…Come On You Stones!